Generated 1,328 leads in the last two years. 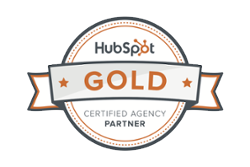 Here’s how HubSpot made it possible. In 2 years of using the HubSpot platform, we were able to grow McHone’s organic traffic by 34,599%. In July 2016, they started with 227 organic visitors. In May 2018, they had 8,081 organic visitors. In addition, their conversions increased from 1/month to 95/month (their highest month was March 2018 with 146 total conversions) and their blog traffic increased from 0 readers to 7,242 readers per month. In total, they’ve gained 1,328 new leads from online sources. This digital success translates into a full workload every month, and the ability to choose the jobs and clients that they want to work with. How did HubSpot help McHone Industries grow from 300 visitors/month to adding a whole new facility? McHone’s blog brings in the vast majority of traffic and conversions. Over 2 years, we’ve built up an archive of 127 blog articles. Six of these posts bring in more than 500 visitors per month. From the blog, visitors can download a variety of useful content. Their highest-performing piece is their Tube Sizing Guide, which has generated 396 leads in two years. In total, they’ve generated 1,328 contacts from online sources. McHone asked us to turn their basic website into a lead-generating machine with measurable ROI. There were no specific requests - simply that they had a website that wasn't producing results, and they wanted that to change. In terms of their website, McHone Industries started from nothing. 300 visitors/month and no leads from online sources. The company didn’t even have a website until Arnie Jr. & Eric McHone took over for their father around 2010. Also, the McHone team is hard to pin down! It can be difficult to create quality content when client feedback is scarce. But, we were able to turn this challenge into an opportunity. Even just 2 years ago, the online landscape was very different for industrial organizations. ThomasNet was smaller and less well-known, and many industrial companies had barebones websites that seemed to be stuck in the ‘90s. Prospects were asking questions online, but manufacturers weren’t there to answer. This gap was a major opportunity, and McHone was able to fill it. Further, the Mchone team’s “hands-off” nature allowed us to churn out content quickly. We definitely wouldn’t recommend this approach for every client, but it has certainly worked for McHone! With the blogging tool, we created an archive of educational resources, with many early touchpoints in the buyer’s journey. This eventually grew into a hub of 127 articles addressing questions throughout the research process. Additionally, moving to the HubSpot platform made blog optimization incredibly easy. We can see how each blog post is performing and adjust our strategy accordingly. The now-deceased keyword tool (RIP) assisted with topic brainstorming as well. Once blogs were published, we used CTAs, lead flows, and landing pages to capture leads. Lead nurturing with workflows, email marketing, and the CRM helped move leads down the funnel. The McHone team reports a significant increase in customers returning via email marketing. Over 2 years with HubSpot, McHone’s organic traffic grew 34,599% and their blog traffic grew from 0 to 7,242 readers/month. 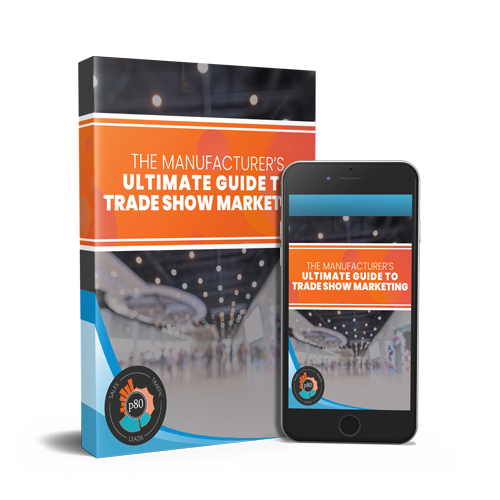 They’ve generated a total of 1,328 leads with HubSpot. Each blog post ranks for a variety of relevant keywords, and they show up on page 1 in Google for many of those keywords. Their blog is a go-to resource for many metal manufacturing topics. In a conversation with Eric McHone, he mentioned talking to an old friend who was Googling questions related to metal manufacturing. The friend was amazed, because no matter what he typed in, McHone Industries popped up. Because of all of this, they have more business than they know what to do with. They’ve opened an entirely new plant to accommodate the growth, and they can pick and choose which jobs they want to take on. Their business is almost unrecognizable from where it was two years ago - in the best way possible. McHone Industries continues to grow both online and offline. Eric mentioned that, because of their newfound presence online, they’re competing on a whole new level with competitors in an entirely different league. We continue to work with the McHone team to develop a strategy to compete more effectively at this new level. We’re honored to have worked with them for so long, and we’re looking forward to new opportunities for success!